Each year we run an extensive programme of CPD events for teachers. Details of this year’s events are listed below. For any event, please book your place on line here. A day spent at The Cotswold School, named Sunday Times Comprehensive School of the Year 2015-16, finding out more about our approaches and strategies to Teaching and Learning, with opportunities to see the school in action and observe a variety of outstanding practice in a range of subjects through learning walks and drop in observations. The day will be run by our team of SLEs running workshops on questioning technique, assessment, stretch and challenge and more. There will be plenty of ideas and resources to take away and use in your own school. This day would suit any teacher keen to develop their own practice or those leading teaching and learning in their schools. With Careers Education and Employability Skills now higher on the national agenda, you are invited to spend a day exploring a range of approaches to improving provision in these areas. We will share strategies for meeting the Gatsby benchmarks, including how to help students make the most of: Careers Fairs, work experience, practice interviews, professional mentoring and Careers Advisors. There will also be an opportunity to see how Careers is woven into the curriculum via a learning walk. A pack with useful Careers and Employability Skills resources will be provided for you to take away and use/adapt. 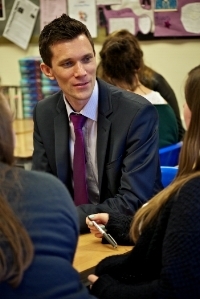 The day will be led by our Careers Leader and will include contributors from different curriculum areas. This day would suit Careers Leaders, aspiring Careers Leaders or any member of staff keen to develop their own practice in relation to Careers education, information, advice or guidance. This day is designed for teachers keen to take the next step in their career up to middle leadership, be that curriculum or pastoral roles. As well as workshops looking at the skills of job, which will focus on management vs leadership, setting a vision, key responsibilities and working with colleagues. There will be opportunities to gain experience alongside an experienced middle leader in a similar job that you aspire to. You can get the chance to shadow them and experience some of their role and responsibilities. An opportunity for any colleagues to join us undertaking Prevent training using the Home Office’s online resources. This collective approach aims to help foster discussion and collaboration and to put the training into context of our pupils here in the Cotswolds. Fancy spending a day seeing one of our departments in action? We regularly hold department immersion visits giving colleagues the opportunity to see the teaching that takes place to bring success at The Cotswold School. Each visit includes learning walks, pupil panel chats and a series of workshops with the subject leader on various aspects of their work and the developments and innovations they have been leading upon. Best of all, it is a great opportunity to take away plenty of resources and ideas! These days are bespoke and can be tailored to suit individual needs. To discuss a visit and arrange a date, please get in contact with Ben Edwards (bedwards@thecotswoldschool.co.uk). A number of schools rely on HLTAs or Non-Qualified Teachers to meet their staffing needs. Many have the potential to be strong practitioners but are somewhat ‘in at the deep end’ without having much, if any, formal training on becoming a teacher. This three day training course, spread over one year, is intended to support unqualified teachers to improve their classroom practice. The sessions will look at various aspects of the role including lesson planning, assessment, behaviour management, differentiation, understanding data, stretch and challenge, pastoral care and developing deeper learning (including homework, questioning technique and independent learning). Each day at The Cotswold School also gives time to see outstanding practice in action and to gain the direct support and guidance from a subject specialist buddy who can provide ongoing support. Plenty of time is also given to seeing best practice in action via learning walks and drop-in lesson observations in an outstanding school. It is also an excellent time to collaborate and discuss best practice with other unqualified teachers in similar contexts and also with more experienced qualified teachers. Buddy Support: Each unqualified teacher is given a subject specialist buddy whom they have time with to meet, discuss their teaching and needs in a non-judgemental way and to help provide resources and teaching ideas in an ongoing relationship. Coaching and lesson observation: An experienced coach from The Cotswold School will visit each unqualified teacher twice over the year to watch them teach and to help give support and guidance on areas for development. This is entirely non-judgemental. This is not an accredited course, but feedback from previous participants has been extremely positive with all attendees saying that the course helped them to improve their teaching and that the training was helpful, friendly and professional. £500 for one delegate, £400 for each additional delegate from one school.